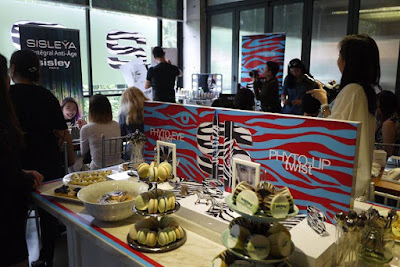 We had a wonderful time over high tea with the luxurious skincare and makeup brand: Sisley Paris last month at Delectable Glasshouse , Taman Seputeh. 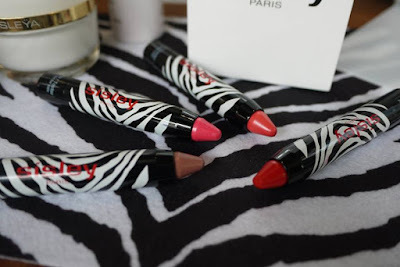 Let me tell you a bit about Sisley Paris. Sisley was found by Entrepreneur and visionnary, Hubert D'Ornano founds in 1976, even before many of us were born! Hubert D'Ornano was one of the first to use botanical essences in cosmetology. Sisley’s formulas contain powerful synergies of plant extracts and the brand is renowned for its’ anti-aging range, face masks and award winning suncare. Sisley make-up is a more recent addition and also boasts additional skincare benefits, whilst the fragrance has a cult following and makes a superb gift for any occasion. 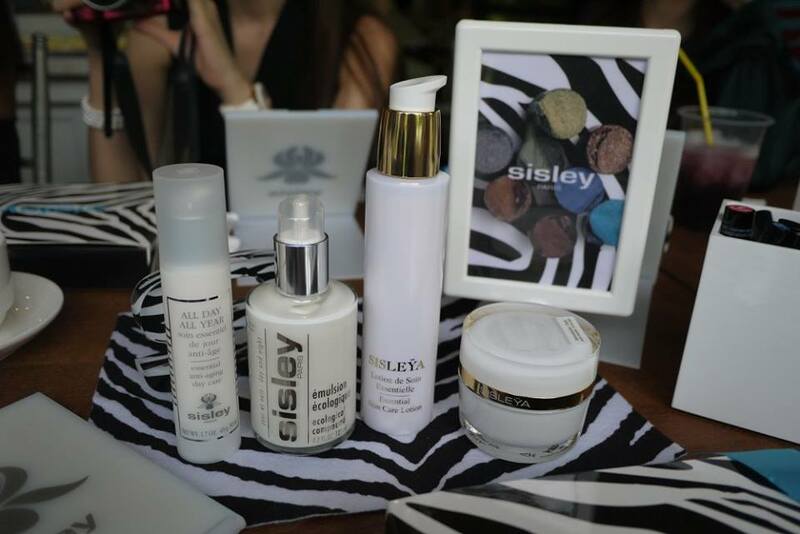 As we all know France is the pioneer in skin care and cosmetics hence Sisley is definitely a brand to look forward when it comes to personal care. 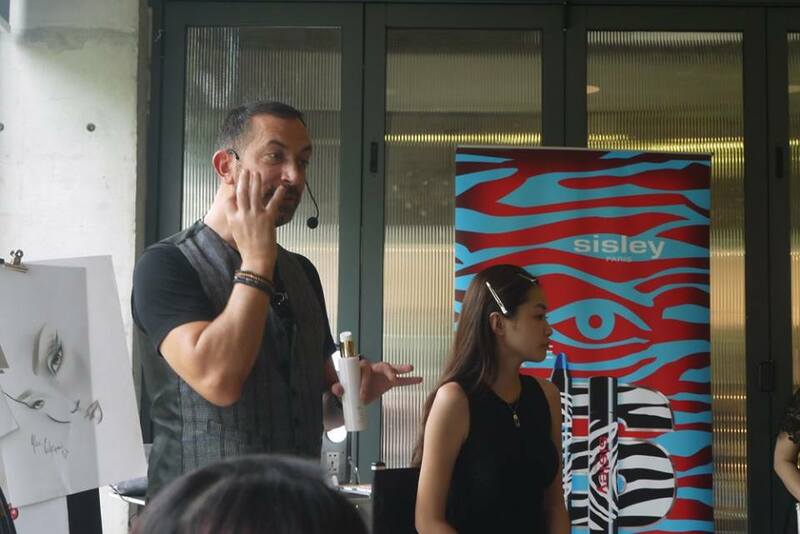 The Sisley Make Up Workshop was demo by the talented makeup artist Alexandre Colaianni from Sisley Paris. He obtaining his artistic genes from a painter dad and a ballerina mother, likes presenting his makeup artist likes presenting his makeup idea through illustrating on a big piece of canvas. Before painting our face with makeups, it’s important to prep our skin. 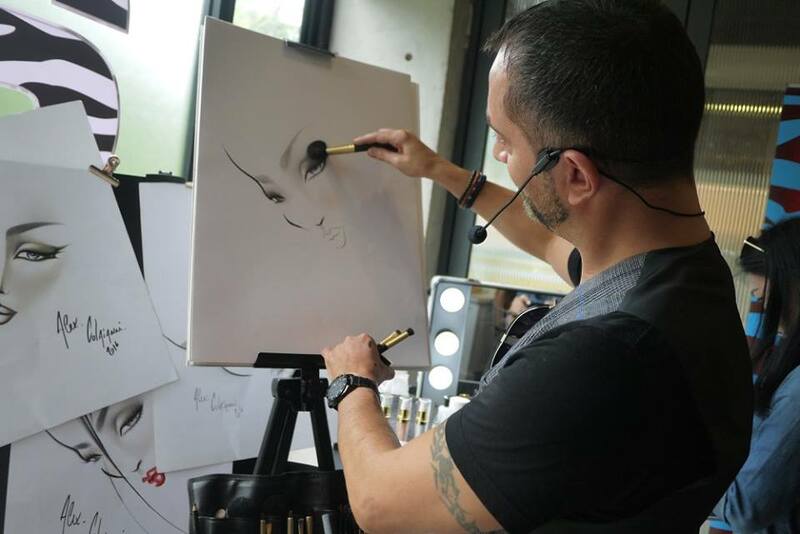 A flawless skin is the basic step to flawless makeup hence Alexandre Colaianni introduced us the SISLEYA Anti-aging skincare range. Skin loses elasticity over time and Sisley Sisleÿa L'Intégral Anti-Âge cream, 50ml is a complete anti-aging product that takes into account genetic and environmental aging, as well as behavioral aging. The results are spectacular on wrinkles, firmness, radiance, density and hydration. Once the skin is prep, it’s time to paint our face with Sisley’s colorful makeup range. Sisley has launched 6 new summery shades of its Phyto-Lip Twist XXL pencils range, which is Sisley’s huge make-up success and their best seller which was launched in 2014. 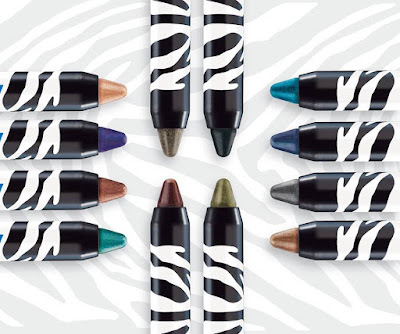 Phyto-Lip Twist XXL pencils provides vibrant colours, 100% comfortable lip care formula, imperceptible texture and glossy shine in a portable format with zebra stripes that are a firm favourite worldwide. • Phytosqualane maintains their suppleness and elasticity to ensure they are protected and moisturized. • Commiphora resin extract smooths the lips and contours thanks to its firming effect. In addition, glossy, film-forming polymers deliver radiance, softness and excellent hold and a glossy ester complex provides the perfect balance between a glide-on application and a soothing sensation. The 6 new shades of Phyto-Lip Twist XXL pencils are 10 Sugar, 11 Litchi, 12 Melon, 13 Poppy, 14 Love and 15 Nut. Now, Phyto-Lip Twist XXL pencils is complete with 4 colour families, 15 radiant shades that could bring a multi-coloured twist to your smile! 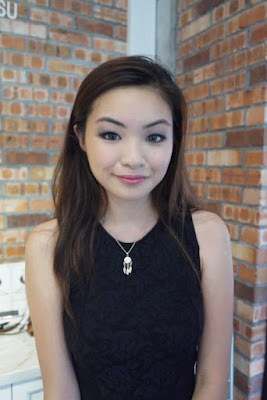 We love its creamy texture and moisturising formula a lot. Its weightless feel made our lips feel comfortable whole day long. 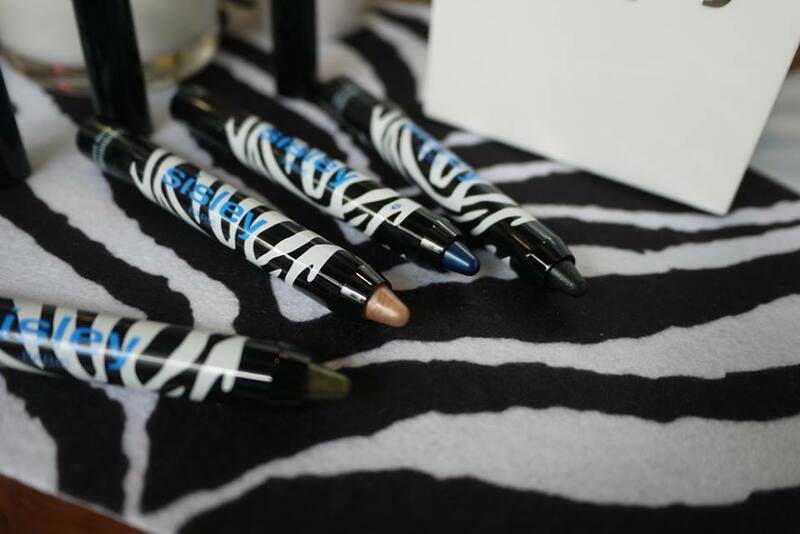 Builds on its phenomenal success, Phyto-Eye Twist range has added 4 new shades in 2016. 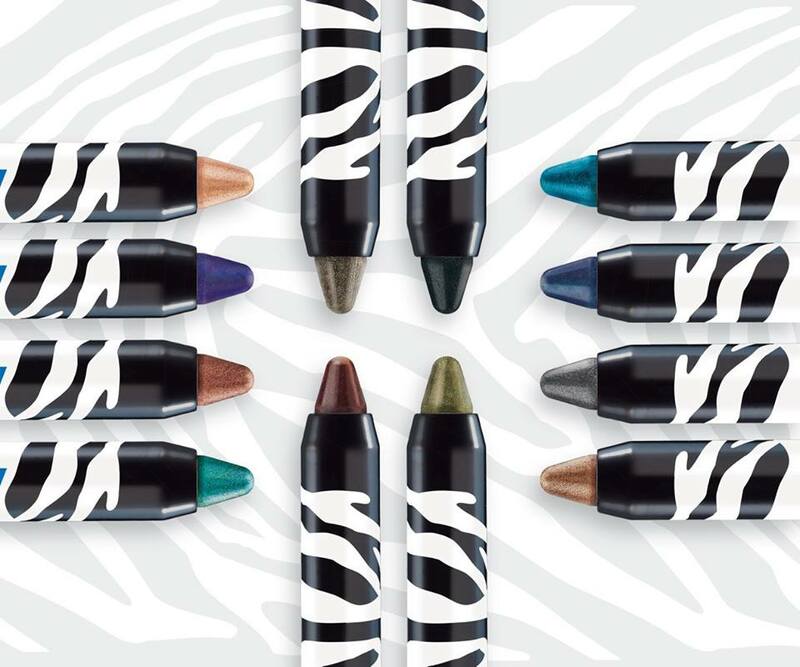 Following on from the success of Phyto-Lip Twist, Phyto-Eye Twist was launched in 2015 with a new design of jumbo twist pencils for the eyes, available in deep and explosive shades for an electrifying look. Incorporated into an imperceptible texture that fuses with the skin, the waterproof formula of the Phyto-Eye Twist is rich in pigments and mother-of-pearl to reflect the light and illuminate the iris. Ultra-sensory, it is creamy to the touch, glides on perfectly and has incomparable adhesion. 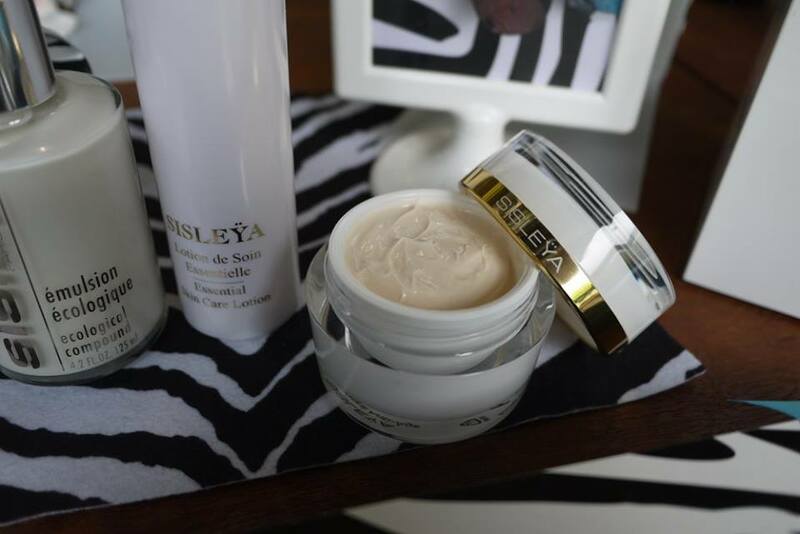 And as always at Sisley, it contains a combination of skincare active ingredients to respect the delicate skin of the eyelids: soft and emollient green Tea, Camellia and white Lily. 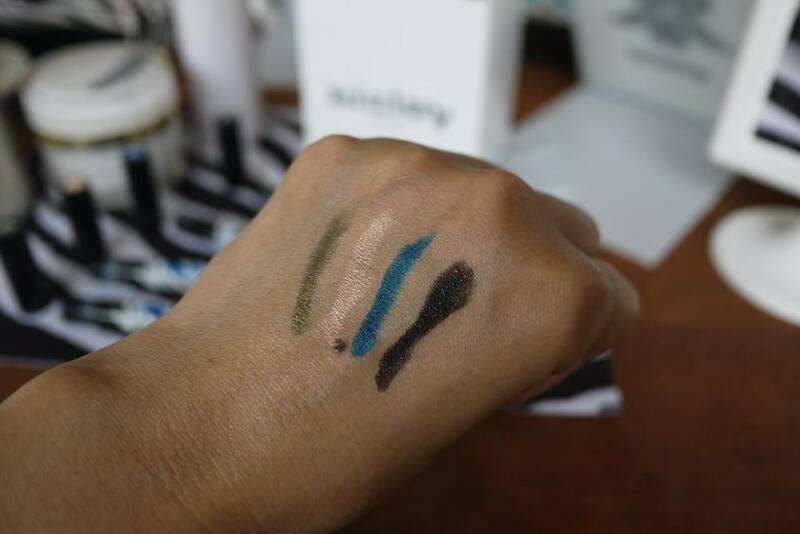 The 4 new shades of Phyto-Eye Twist give a skinny or oversize outline. They are 9 Pearl, 10 Amethyst, 11 Copper, and 12 Emerald. 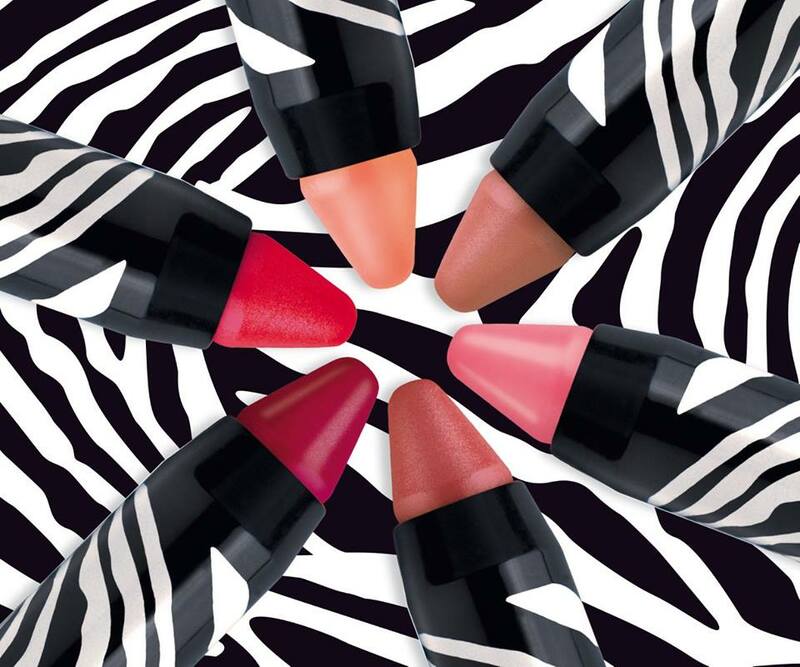 Phyto-Eye Twist is now with 12 pure shades with supercharged pigments to fulfil all our make-up desires. No wonder it is a highly addictive summer touch to wear on its own or combined for the ultimate in glamorous eyes! It brings magnetic intensity to the eyes with a new twist. We love Phyto-Eye Twist as it is easy to use, and is multi-functional. We could use it as a base, as a solid color, as a light outline, as an eyeliner, in the outer corner or as a precision line. Hey Rane! <3 OMG is this weird, I never heard of this brand before. But the Phyto Eye colour is love. Love the edgy zebra packaging! I remember reading about Sisley somewhere the other day! Love how pigmented the phyto eyes look! Great how they have so many shades available too! Hi, Rane ~ Nice to meet you! This Phyto-Eye Twist is damn nice ~I like it..I wish i can learn from the Alexandre too..
ouch so jelly how I wish I can attend this workshop too..
Alexandre Colaianni is really talented make up artist! I love his drawing! 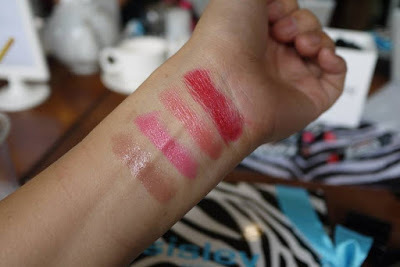 The design of Sisley make up looking so modern and minimalist design of color! Love to attend this kind of workshop! Cool product range too. I love Sisley. 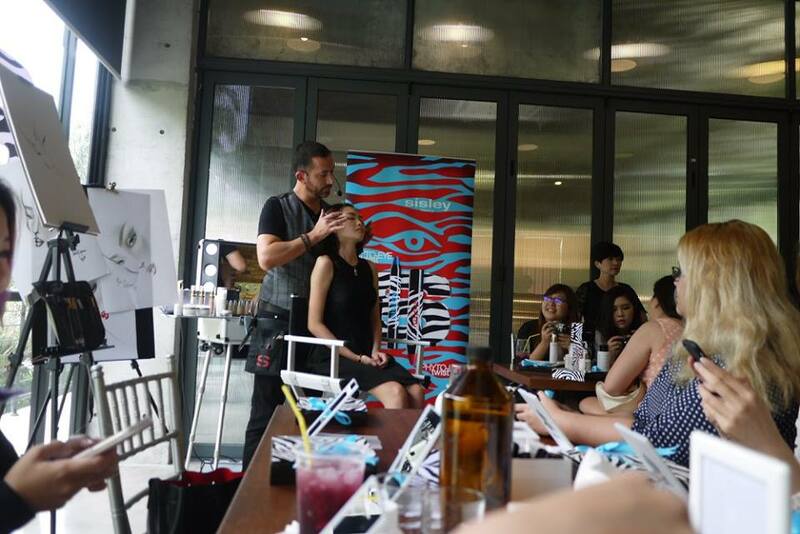 was at a makeup workshop for the wife once.. very eye opening experience. I love something which is easy to use. Thanks for the recommendation! 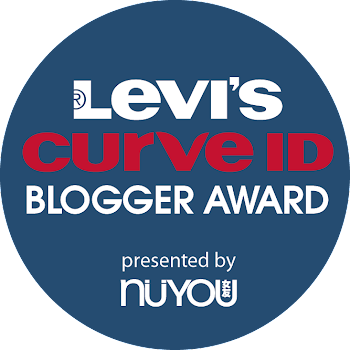 Really nice and cool product.